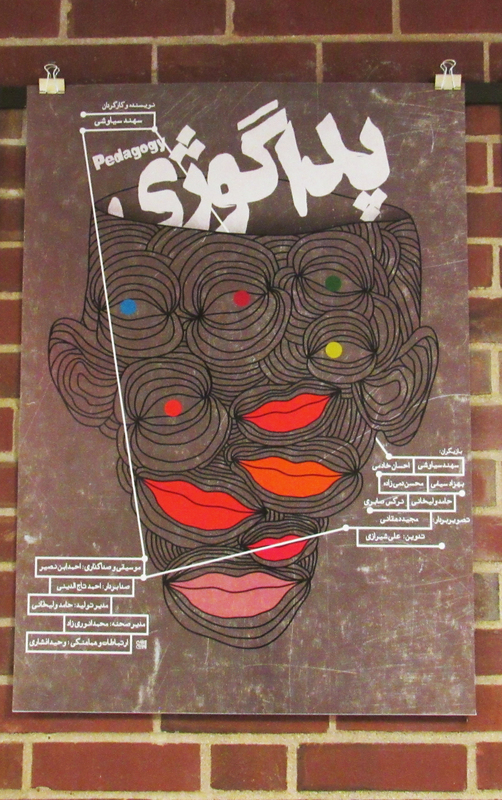 An image from the Persian Garden exhibit at the Schroeder Hall Gallery. The Persian Garden exhibit is open on second floor lobby of Schroeder Hall. Persian Garden is part of the Beyond Boundaries exhibition that is curated by Mehrdad Sedaghat and organized by Ladan Bahmani. 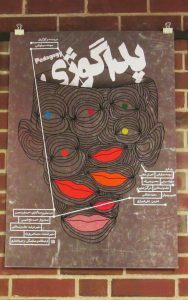 The exhibition features posters created by Iranian graphic designers. The topics of the posters include political and social issues, personal ideas or commercial designs for specific events. Persian Garden is a reminder of how graphic design can bring people and nations together when politics act opposite. Schroeder Hall Gallery is a collaboration between the Department of Sociology and Anthropology and the School of Art. The gallery, which is open year round, showcases sociologically and anthropologically relevant artwork. For additional information, contact the Department of Sociology and Anthropology at (309) 438-8668 or SociologyAnthropology@IllinoisState.edu.